Even as a child, Hawk was convinced there was a connection between the drifter’s tales and the dreams and nightmares plaguing him. His father couldn't provide any answers; the stranger simply wouldn't, but Hawk knows there has to be more. Hawk has no idea what he will find as he starts his quest, but the drifter's stories are too much to ignore. One way or another, he is determined to solve the mystery behind the visions. If Hawk could only complete the journey, perhaps his truth may be revealed within the walls of Deviant Stronghold. 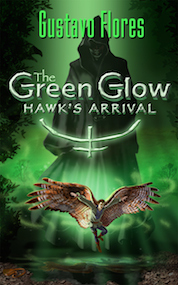 Little does Hawk know the journey he is embarking on will provide more than just answers; what he will discover is buried in the mystery that is The Green Glow.